Holiday house with small pool in Praia a Mare, in the splendid setting of the Riviera dei Cedri. Located in a panoramic position, the house overlooks the sea in front of the island of Dino. 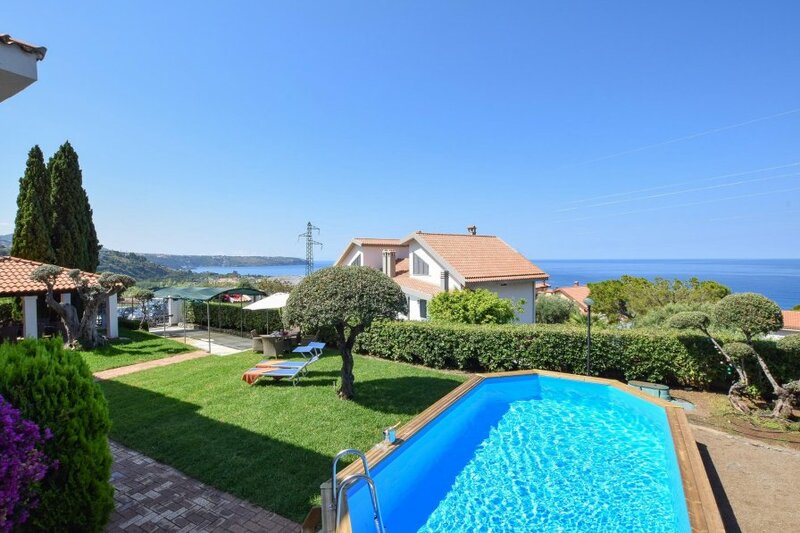 Holiday house with small pool in Praia a Mare, a popular tourist resort in the upper Tyrrhenian Cosentino, in the splendid setting of the Riviera dei Cedri. Located in a panoramic position, this house overlooks the sea in front of the island of Dino, symbol of Praia and a real marine oasis . Villa Capri is a cozy and bright holiday home fully air-conditioned and carefully furnished. 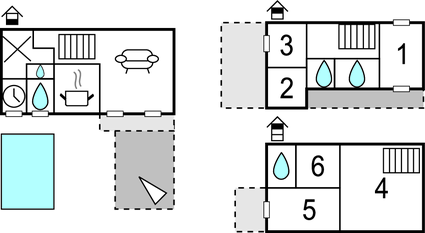 The house is on 3 levels: on the ground floor there is a large living room with dining area, kitchen and a bathroom. On the first floor there are three bedrooms, two bathrooms and access to a back garden with an outdoor terrace. On the second floor there are three other bedrooms and a bathroom. Some rooms have a terrace or balcony with a panoramic view over the sea, from where you can admire the coast and the typical colors of the Mediterranean sea. Some rooms have sloping ceilings. At guests' disposal garden with pool, children's playground, barbecue area and wooden veranda equipped with table and chairs for pleasant outdoor meals. The large front porch offers a living corner where you can spend relaxing moments, or you can sunbathe on the solarium adjacent to the pool. This house is the ideal place for family groups or friends wishing to spend their holidays together in this beautiful part of Calabria. Nearby there are services, bars and restaurants open all year. This villa is made from brick or stone and was originally built in 1980 and refurbished in 2016. The agent has rated it as a three star property so it is a well-kept villa, equipped with standard furniture. It is also good value for money. This villa has beautiful panoramic view over water; it is also only 2km from Praia a Mare. It is set in a convenient location, 2km away from a stone and pebble beach and 2km from a sandy beach. There's also a restaurant 2.2km away.